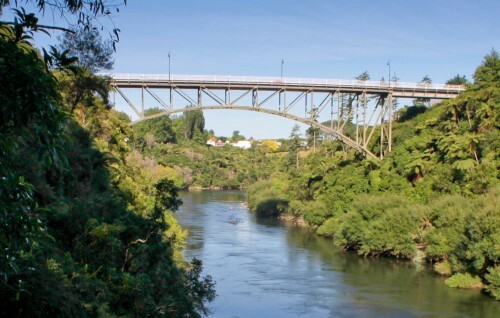 Victoria Bridge is a historically significant listed structure spanning the Waikato River. It is over 100 years old and still used daily by large amounts of traffic. 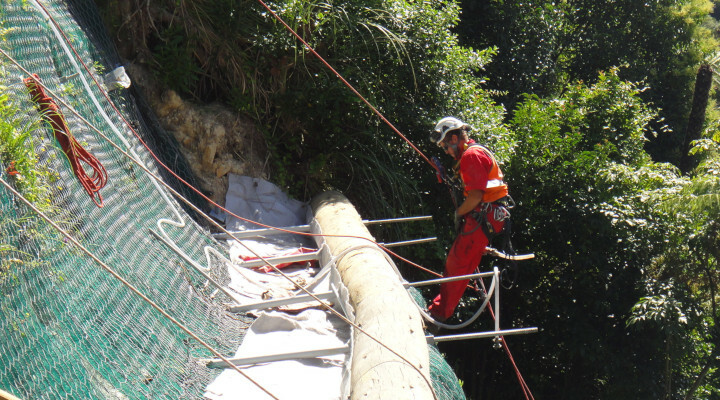 The bridge abutments were in urgent need of stabilisation. Significant potential for traffic disruption as the bridge is in downtown Cambridge. Potential of negative impact on the river and surroundings. 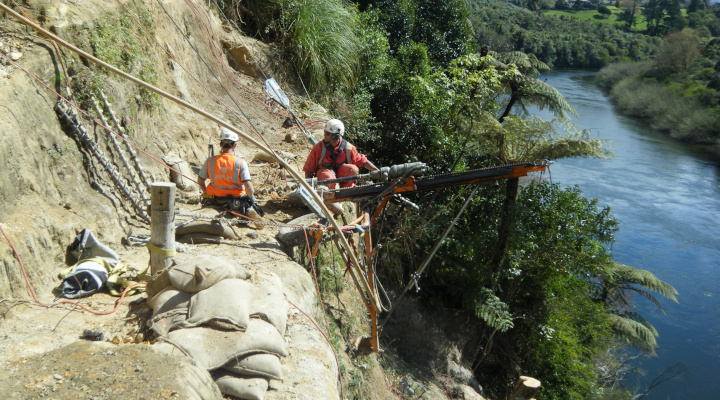 Technical and safety challenges working on steep slopes high over the Waikato river. 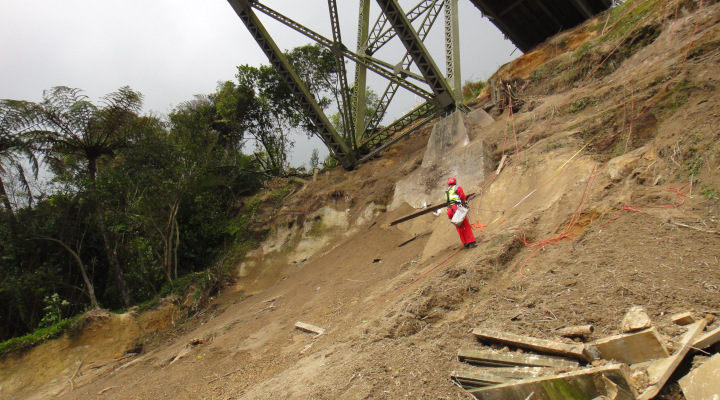 We designed and constructed retaining beam structures and installed over 1.5 km of soil nail anchors then meshed and shotcreted the abutment slopes. We communicated actively with local residents to ensure their cooperation. Despite the significant technical and safety considerations, there were no incidents, no complaints and minimal traffic disruption. Work completed on schedule, on budget and beyond expectations.